WASHINGTON (AP) — A newly-released email shows that 11 days after the killing of terror leader Osama bin Laden in 2011, the U.S. military's top special operations officer ordered subordinates to destroy any photographs of the al-Qaida founder's corpse or turn them over to the CIA. The email was obtained under a freedom of information request by the conservative legal group Judicial Watch. 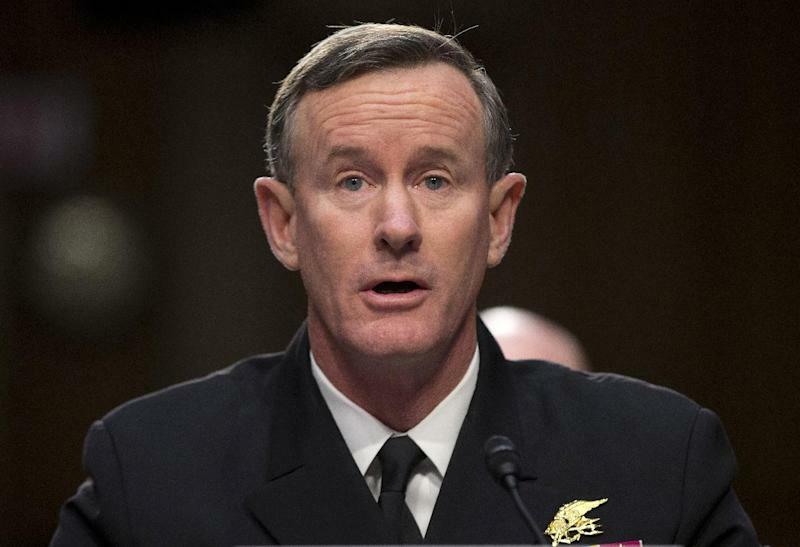 The document, released Monday by the group, shows that Adm. William McRaven, who heads the U.S. Special Operations Command, told military officers on May 13, 2011 that photos of bin Laden's remains should have been sent to the CIA or already destroyed. Bin Laden was killed by a special operations team in Pakistan on May 2, 2011. McRaven's order to purge the bin Laden material came 10 days after The Associated Press asked for the photos and other documents under the U.S. Freedom of Information Act. Typically, when a freedom of information request is filed to a government agency under the Federal Records Act, the agency is obliged to preserve the material sought — even if the agency later denies the request. On May 3, 2011, the AP asked Special Operations Command's Freedom of Information/Privacy Act Division office for "copies of all e-mails sent from and to the U.S. government account or accounts" of McRaven referencing bin Laden. McRaven was then vice admiral. A May 4, 2011 response from the command's FOIA office to the AP acknowledged the bin Laden document request and said it had been assigned for processing. AP did not receive a copy of the McRaven email obtained by Judicial Watch. The Department of Defense FOIA office told the AP in a Feb. 29, 2012 letter that it could find no McRaven emails "responsive to your request" for communications about the bin Laden material. The Special Operations Command is required to comply with rules established by the chairman of the Joint Chiefs of Staff that dictate how long records must be retained. Its July 2012 manual requires that records about military operations and planning are to be considered permanent and after 25 years, following a declassification review, transferred to the National Archives. Last July, a draft report by the Pentagon's inspector general first disclosed McRaven's secret order, but the reference was not contained in the inspector general's final report. The email that surfaced Monday was the first evidence showing the actual order. In a heavily blacked-out email addressed to "gentlemen," McRaven told his unnamed subordinates: "One particular item that I want to emphasize is photos; particularly UBLs remains. At this point - all photos should have been turned over to the CIA; if you still have them destroy them immediately or get them" a blacked-out location. UBL refers to bin Laden. At the time the inspector general's report came out, a spokesman for the Special Operations Command referred questions back to the inspector general. A CIA spokesman said at the time that "documents related to the raid were handled in a manner consistent with the fact that the operation was conducted under the direction of the CIA director," then Leon Panetta. The CIA statement also said "records of a CIA operation such as the raid, which were created during the conduct of the operation by persons acting under the authority of the CIA director, are CIA records." In a Jan. 31, 2014 letter to Judicial Watch in response to its request for all records relating to McRaven's "directive to purge," the Pentagon's office of general counsel said it had been able to locate only document — Raven's redacted email. Judicial Watch president Tom Fitton said Monday that the email "is a smoking gun, revealing both contempt for the rule of law and the American people's right to know."